Eco-Safe Retrofit works closely with Real Estate Agents, Escrow Officers, and Property Owners to make sure properties conform to all necessary code requirements at “point of sale”. Same day appointments available and we bill through escrow. Eco-Safe offers appointment 6 days a week to make it more convenient for Agents, homeowners and tenants. Our trained technicians will inspect, identify and satisfy all mandatory safety and water conservation codes needed to complete the conditions of escrow. You can trust Eco-Safe Retrofit with all water and safety retrofitting required by law for residential, commercial, and multi-unit family dwellings. Make Eco-Safe Retrofit a part of your Real Estate Team! 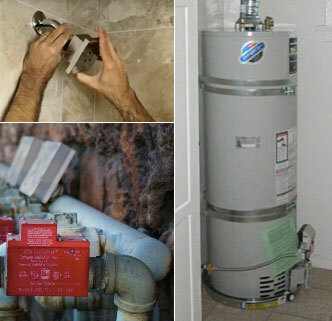 Eco-Safe Retrofit is fully Licensed, Bonded, and Insured. State License #944998. Providing fast and dependable service. Eco friendly and safety minded!